If you love the show Duck Dynasty and are creating the ultimate themed room, then you will definitely need this little piece of decor. 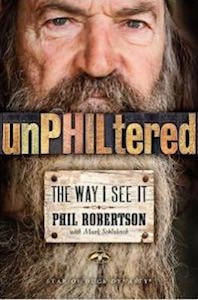 The Duck Dynasty light switch features a collage of 4 pictures; one of Phil with his trusty duck call, one of Willie in his famous red, white and blue bandanna and then two that feature some sweet camouflage. There are two screw holes and one for your light switch. This one of a kind light switch cover is made of unbreakable plastic, which means it will stand the test of time and keep your light switch protected for years to come. It is a mid sized plate and is handcrafted perfection. 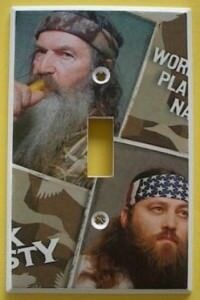 Let the light shine in with the Willie And Phil Duck Dynasty Light Switch Cover.